Split screen is a technique which makes a computer screen displayed with more than one dividing graphics (usually 2-5 graphs). If we apply this technique to a video, then we can get a split screen video, which consists of several videos in a screen. These videos which are being played on one screen can be related or unrelated but will be played simultaneously. With the help of the split screen technique, we can make tutorials more clear in a teaching video, and highlight the differences between objects in a comparison video. Though split screen technique is an advanced effect, everyone can easily apply it in a video including beginners. 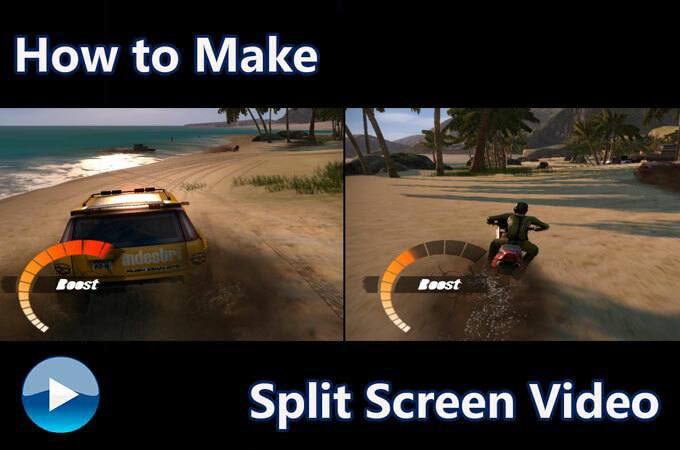 This article will show you the steps on how to make a split screen video. The best split screen video editing software is also suggested to you. How to Make a Split Screen Video? Video Converter Studio is a famous tool in the field of video converting. Though it is a professional video converting tool, it enables users to do the basic editing in order to help users improve the video. The steps to make split screen video with Video Converter Studio are very simple. All you have to do is go to the split screen page in its interface, choose a mode, and import your videos. Then you can easily make a split screen video. Aside from that, this software allows users to adjust audio volume, and to fade in or out music. Below are the steps for you to make a split screen video with it. Download Video Converter Studio by clicking the button below. Go to the “Split Screen” page. Choose a mode, and click on plus icon to import your videos. Click on “Export” to save the split screen video. 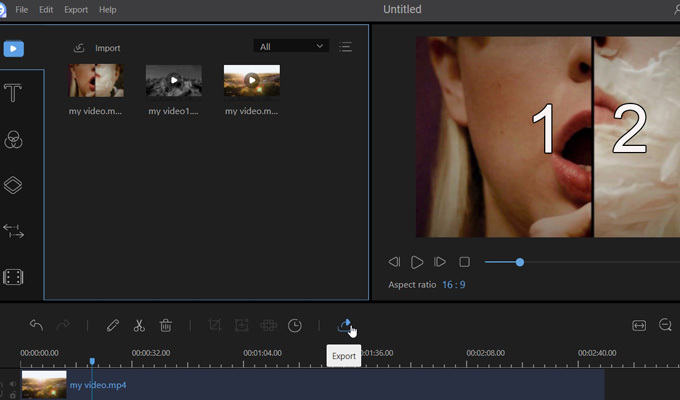 ApowerEdit is famous in the felid of video editing because of its intuitive interface and powerful functions. 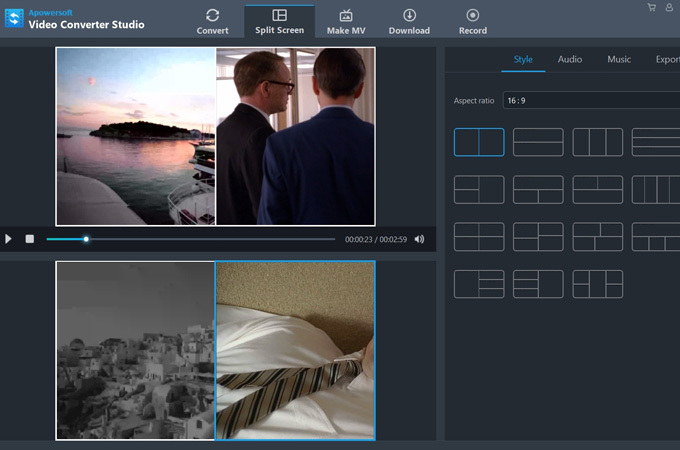 This video editor can help you make an awesome split screen video. It enables you to cut and merge videos, fade out music, and adjust brightness, hue, and contrast of the video. 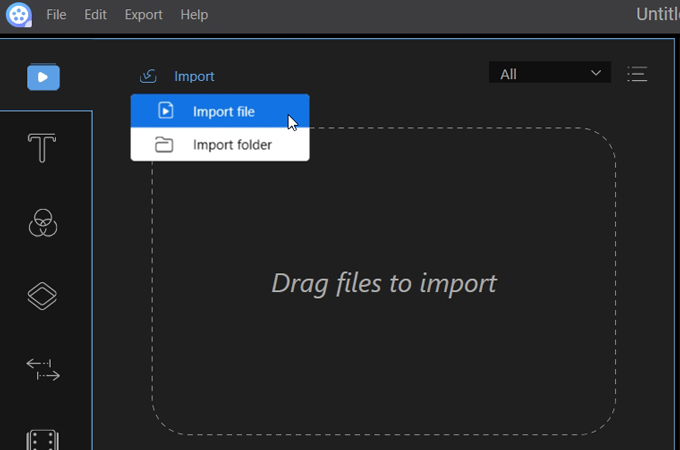 Aside from that, it provides you with delicate text mode, transitions, overlays, etc. Therefore, you can edit the details of your videos before using them to make your split screen video. 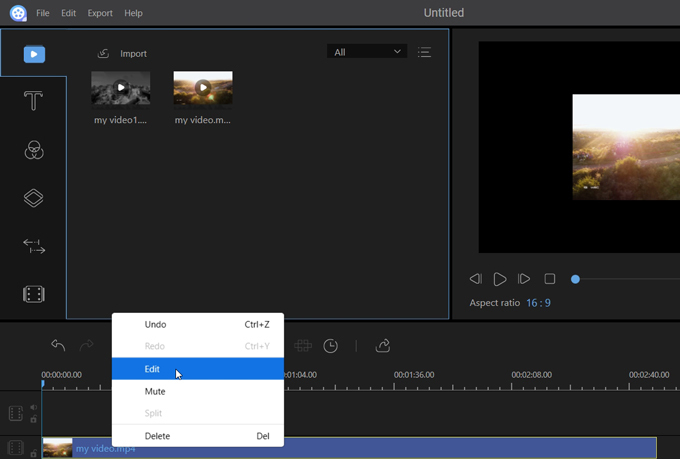 In order to help you easily make a split screen video, this video editing tool displays several tracks in its editing area. You can use these tracks to create your own split screen video. Here are the steps on how to make a split screen video using ApowerEdit. Download and install ApowerEdit by clicking on the button below. Drag and drop a video to the PIP track. Right-click on the video and choose “Edit”. Adjust the size and the location of the video in the preview area. Click on the “Export” button to export the video (video A). Import video A to the media. Drag and drop video A to the video track. Drag and drop a new video to the PIP track. Right-click on the new video and choose “Edit”. Adjust the size and the location of the new video in the preview area. Click on the “Export” button to export the split screen video (video B). Note: When we finish all the above steps, we can get a split screen video with two videos playing simultaneously in one frame. If you want to make a split screen video with 3 videos playing simultaneously, you just need to import the video B to the media, drag and drop it to the video track, repeat the steps from 9 to 11, and finally export the new video. Moreover, the steps will continue if you want to make a split video with 4 or 5 video frames. 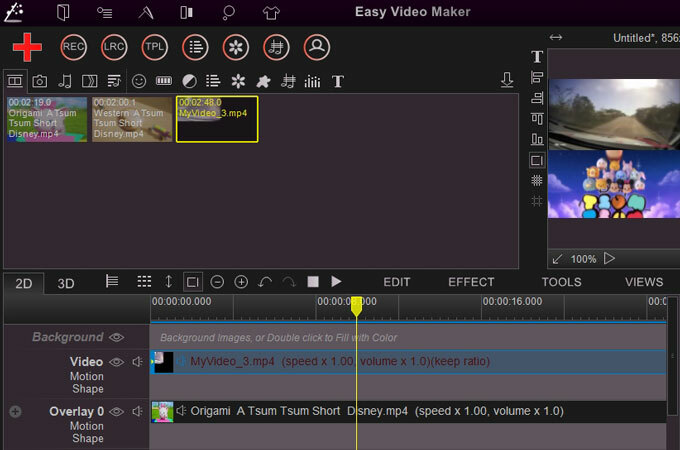 Easy Video Maker is another recommended video editing tool, which enables users to make a split screen video. Though this tool doesn’t provide users with a PIP track to edit videos, its overlay track can help you make the split screen video. However, Easy Video Maker is surely not a perfect video editor. Its interface can sometimes confuse you if you are not familiar with it. If you are interested in this tool, you can check the following steps on how to edit split screen video with it. Download and install Easy Video Maker on your computer. 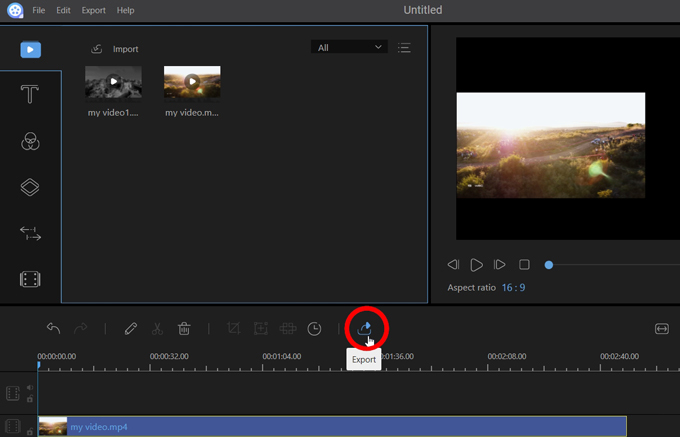 Open this video editor and click on the “Plus” icon to add videos. Drag and drop a video to the overlay track. Double-click on the video and adjust its size and location. 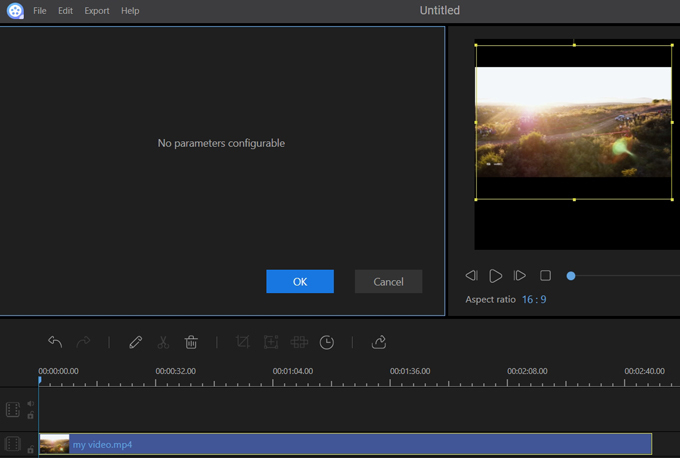 Click on “RENDER” to export the video A. Drag and drop another video to the overlay track. Click on “RENDER” to export the split screen video. Above software and methods are practical when referring to the question of how to make split screen videos. If you’re looking for a video editing app to easily make a split screen video, then you can choose ApowerEdit. After all, this video editor is suitable for both beginners and experienced users. You can definitely make a wonderful split screen video with it. As for Easy Video Maker, you can also use it on some occasions.